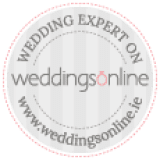 Why should I use Algarve Events Wedding Planners? Why Should I arrange accommodaton for my guests, and why shouldn't they just book online? •	We use quality accommodation and have negotiated the best rates on your behalf. •	Having your guests in the same accommodation is less stressful for you and gives you cheaper transport fees. •	Having everyone in the same accommodation means guests know each other before the wedding day and everyone is relaxed and in a party mood ready for your big day. •	Booking online doesn’t guarantee all your guests a room since many websites has limited numbers of rooms to sell. If they book online they will also not get the special discount. •	Your guest will have our telephone number so if they have any trouble booking they can contact Algarve Events so you don’t have any hassle. Make sure all setups are completed on time and suppliers are fully briefed on timings and events during your wedding. We will collect flowers and meet guests to make sure they get the organized transport. We will be your point of contact for suppliers and venue so you are not bothered with details. How will I get my guests to the church? Yes - our legal department takes care of all paperwork for you. Can you organize an English-speaking Priest? Yes, there are several English speaking catholic priests, and several English Church of England priests as well as a Baptist priest. We can also organize a Portuguese priest with a translator in the event an English-speaking priest is not available. Yes. Whenever possible this is our preferred option. Having your own priest makes the service much more personal. We can offer a multitude of fun activities from golf to spa days, boat trips to quad bikes. To find out more contact us.